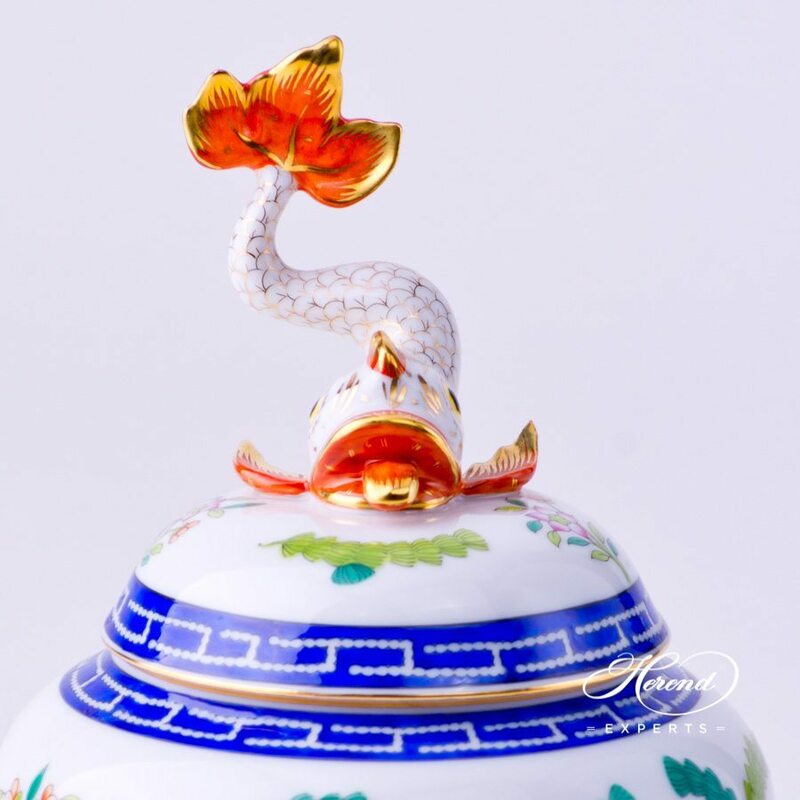 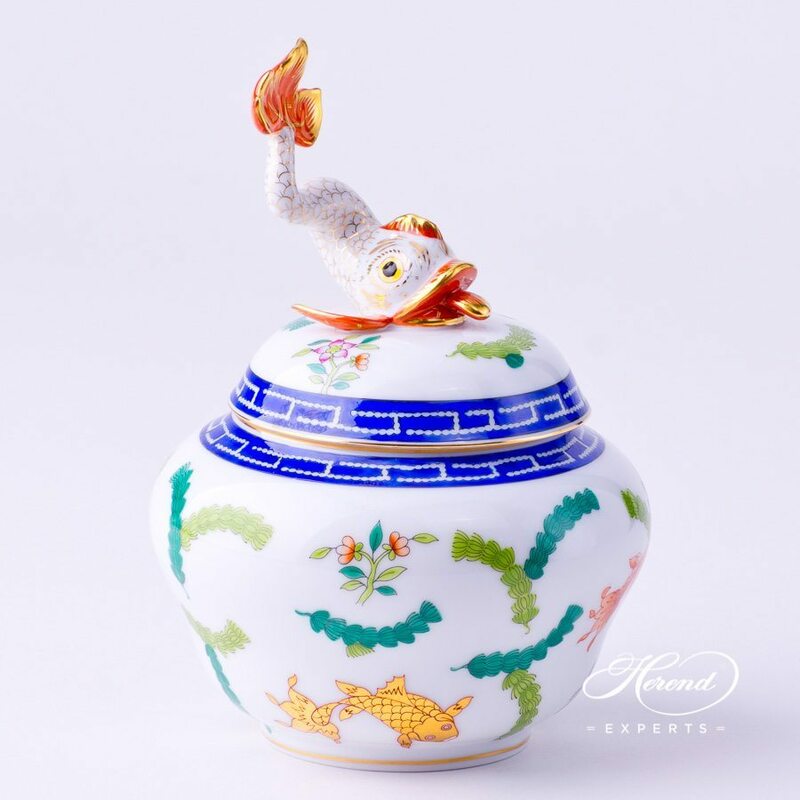 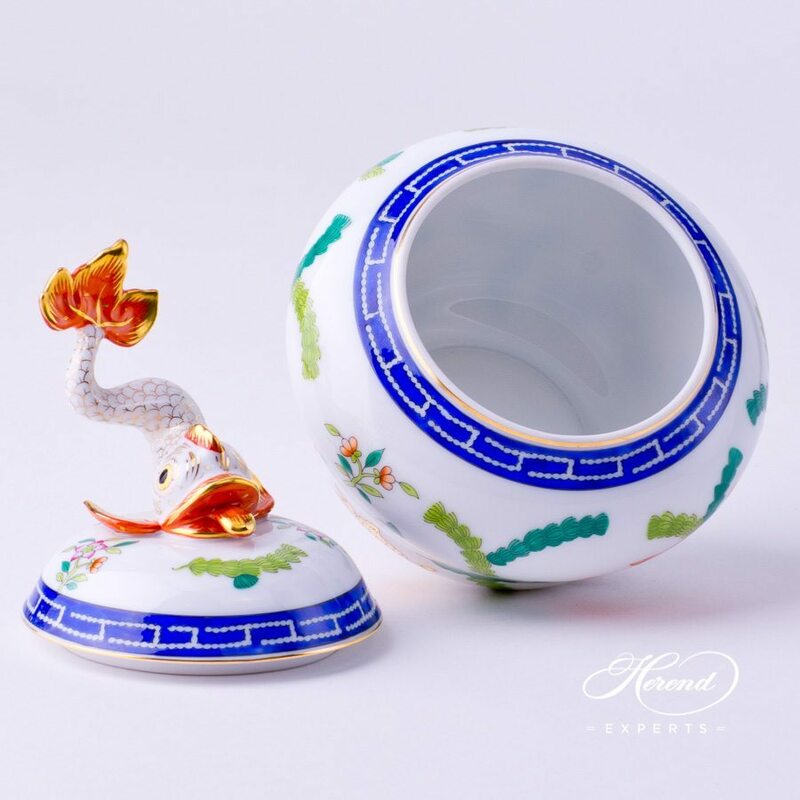 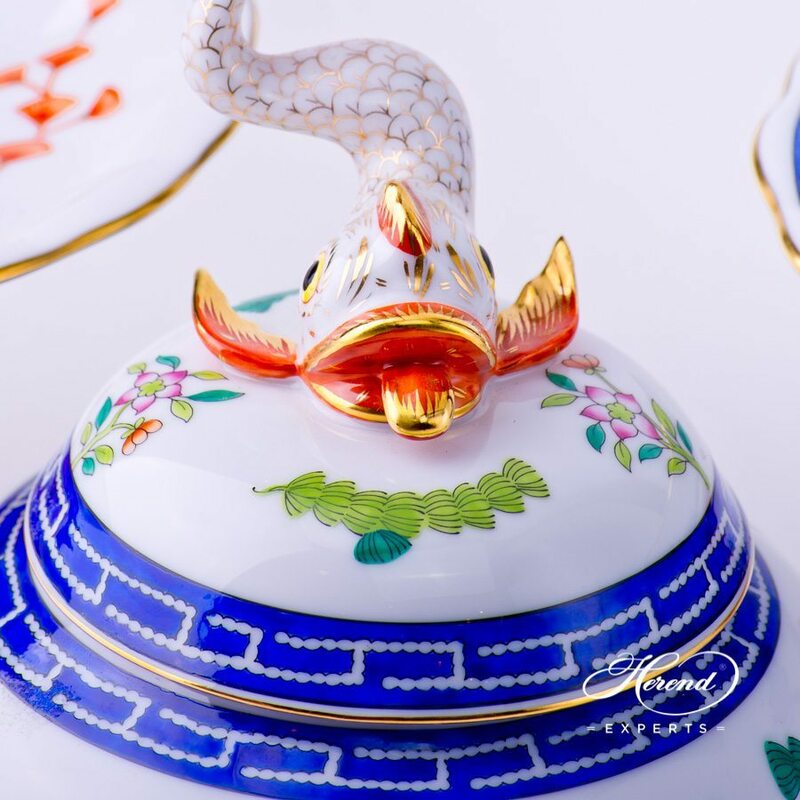 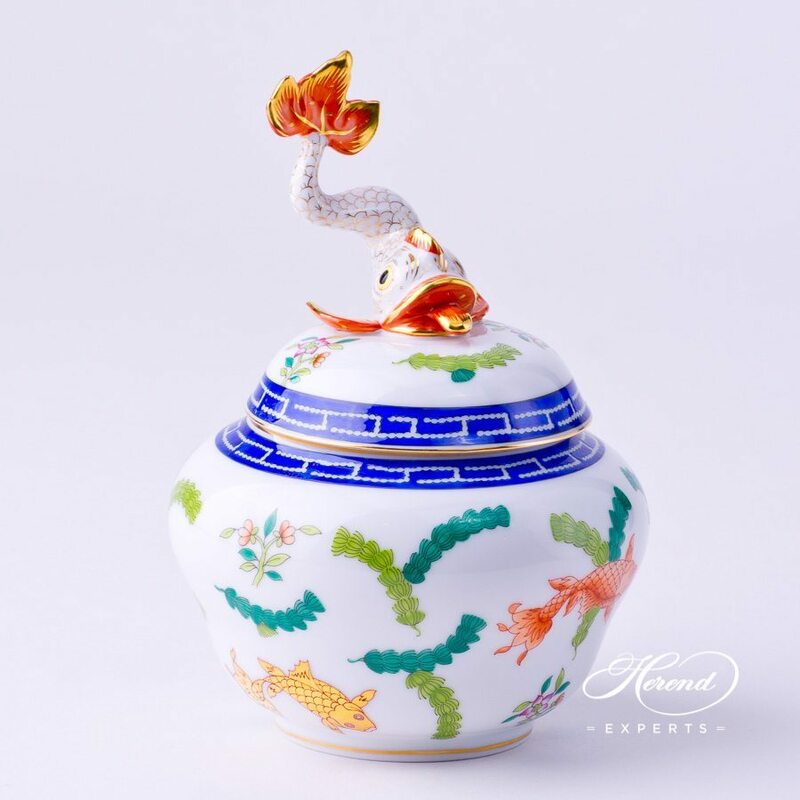 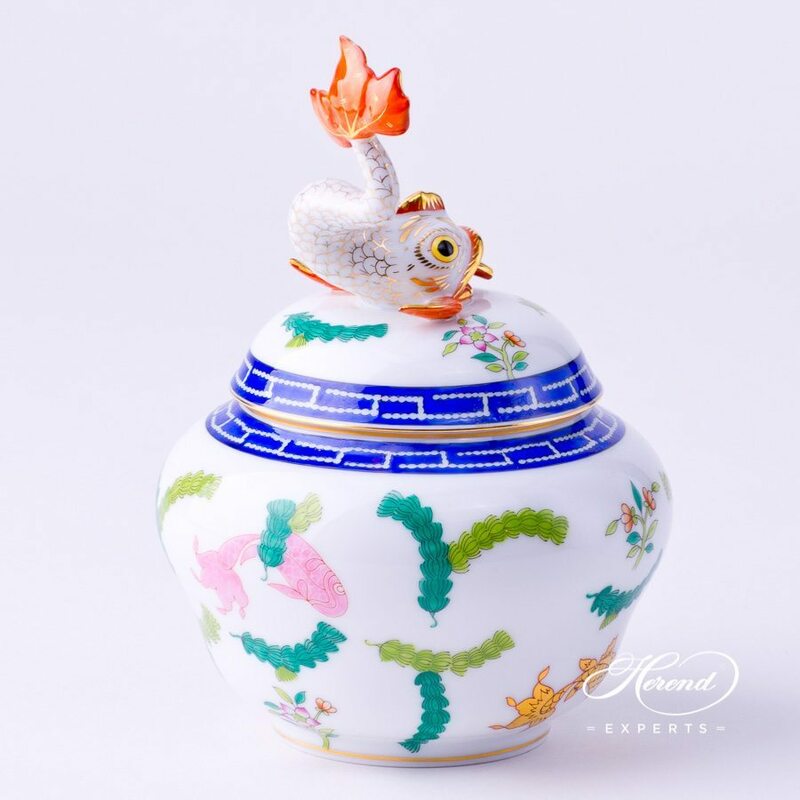 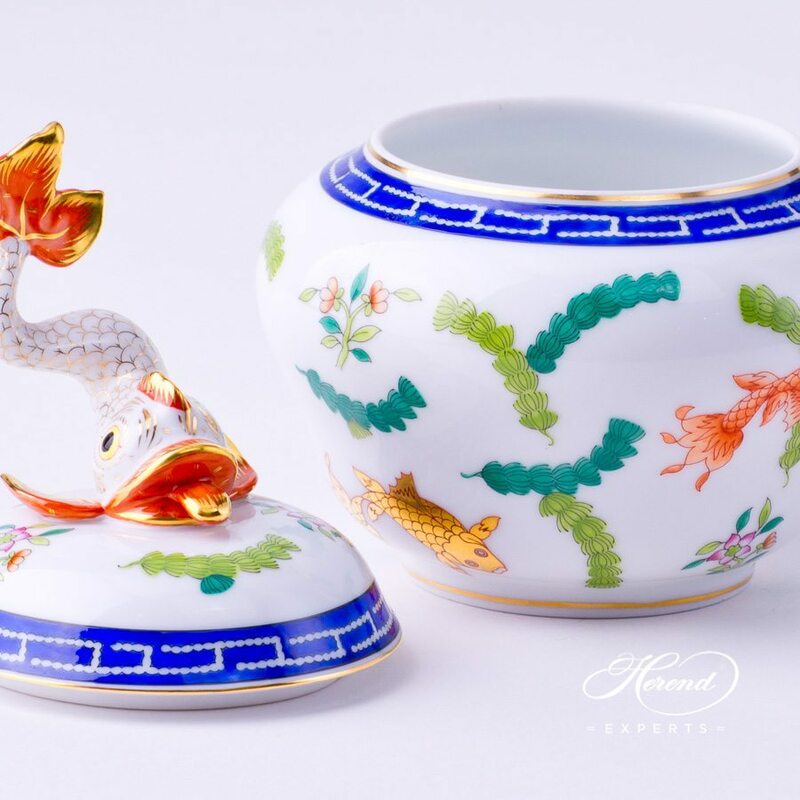 Herend porcelain Candy Jar with Lid - Herend Fishes - PO design. 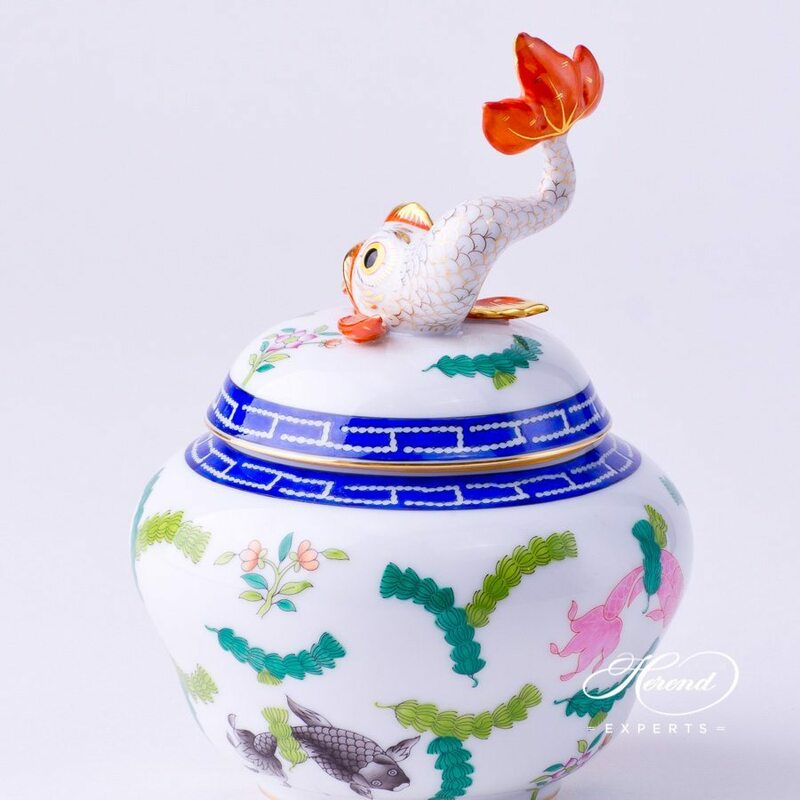 Candy Jar / Bonbonniere with Dolphin Knob. 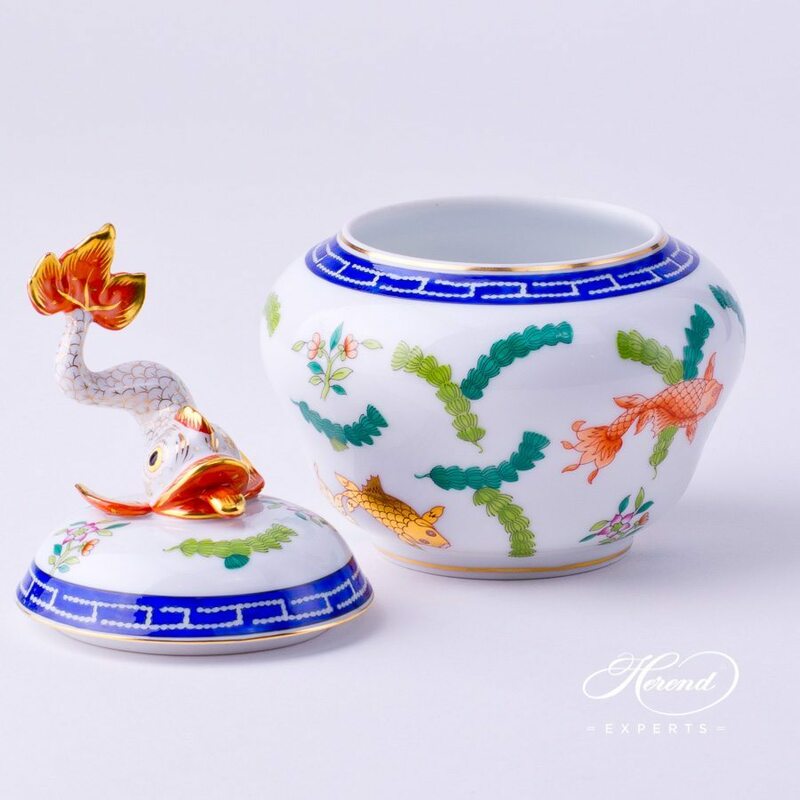 This Fancy Box can be ordered in many different Herend patterns.